Focusing on the personal lives of doctors, this annotated indexed anthology explores personality, behavior and doctor-patient relationships as portrayed in novels, short stories and plays. The Doctor in Literature, Volume 2 and its companion volume are unique among medical anthologies in that readers can look up medical topics as they appear in fiction. The choice of passages is based on clinical relevance, and the range of fully indexed subjects and quotations are generally not found in other texts. This work brings together an extraordinary array of passages from literature to provide a major reference source. It identifies and analyses recurring themes in the portrayal of medical doctors, and is sure to provide pleasure for readers who use it for browsing. 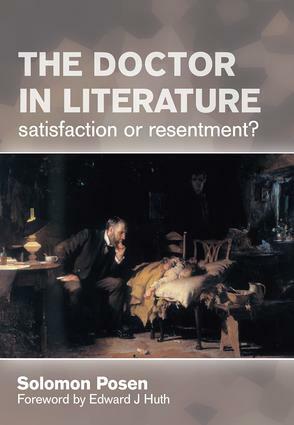 Key reviews from The Doctor in Literature: satisfaction or resentment? Introduction. The Physician and his colleagues. The doctor and religion. Versatile scholars or ignorant boors? Frustration, boredom, burnout. The impaired doctor. Conclusions.